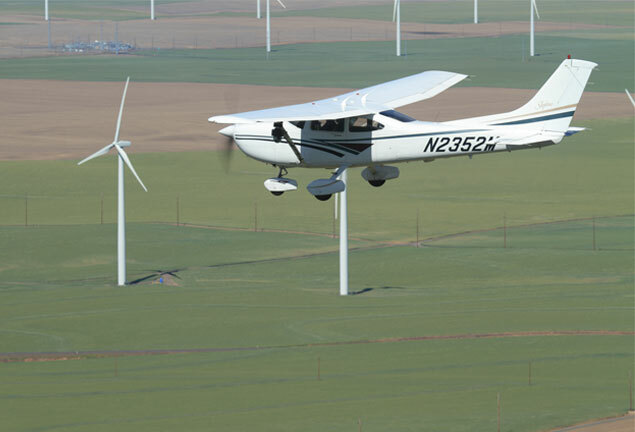 The Piccolo autopilot facilitates the unique windmill inspection system offered by Flint Hills Solutions. Providing stable, autonomous flight control of a small photographic inspection helicopter, Piccolo supports the strict positional accuracy requirements needed for Flint Hill's photographic inspection of the ubiquitous wind-powered turbines. By using their UAV based system, Flint Hills can significantly reduce the time and risks taken in the inspection process.